The Amiens Memorial School of Arts was erected to commemorate those who served in World War One. 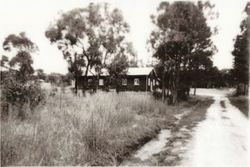 In June 1975 the Amiens Memorial Hall Committee donated the hall to the Stanthorpe Shire Council. It was then removed to the Fred Rogers National Fitness Camp at Storm King Dam. After renovation and furnishing, was then considered a useful living memorial to the memory of men who participated in World War One. The School of Arts and Hall was officially opened on the 26th June 1926 by Major Costello, the member for Carnarvon. 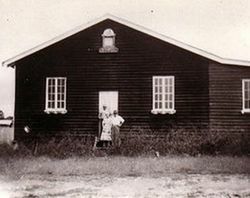 Major Costello said the money subscribed for the erection of the hall came from the people of Queensland for the purpose of providing for the settlers on soldier settlements. The Brisbane Courier, 7th July 1926.